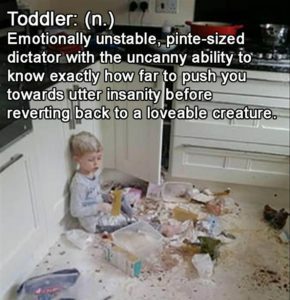 8 toddler memes that will make your pint-sized dictator seem a little more loveable. Did you know that toddlers behave 85% better after a good laugh? Well actually, it just seems that way after WE have a laugh. 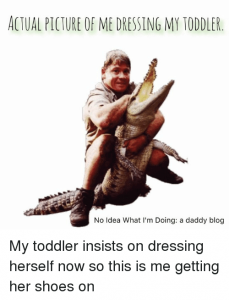 Take a minute to check out these toddler memes and have yourself a better day. 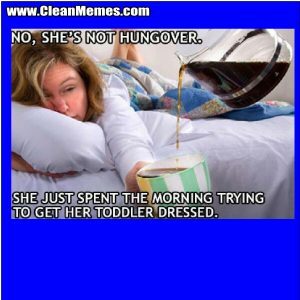 7 – I need something a little stronger after a morning with a toddler. Is it noon yet? 8 – It’s not socially acceptable to let her out naked, but she’s pretty much always barefoot. A mom has her limits.